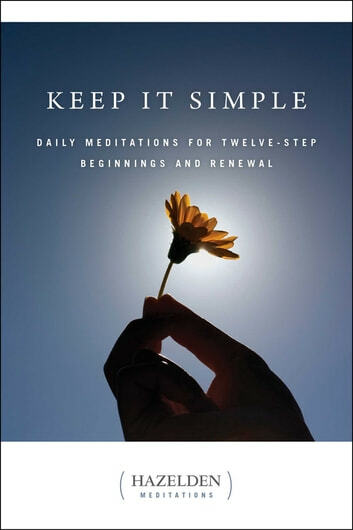 A dependable companion for people in all stages of recovery, Keep It Simple’s meditations bring you back to the basics of living a Twelve Step program. The recovery wisdom in each thought for the day works as an engaging reminder to show up for yourself, your program, and your overall wellness every day. As you go through your journey of recovery with the Steps as your guideposts, these inspirational daily meditations give your spirit a feeling of regular renewal, fellowship, and new beginnings. Each page serves as your cornerstone for a new life, helping you cultivate true health, personal growth, and transformation—in a way that complements the life-changing guidance of Alcoholics Anonymous, Narcotics Anonymous, and other programs. By providing a year’s worth of encouragement, reflection, and prayer, Keep It Simple becomes the sustaining daily dose of support and strength you can always count on. Cherished by millions for decades, this recovery classic is an expansive collection of insight and guidance. Weaving together traditional teachings and diverse voices, it’s your daily invitation to a practice of mindfulness, therapeutic healing, and overcoming addiction.